Total Score: 8.34 - EDITORS CHOICE AWARD! 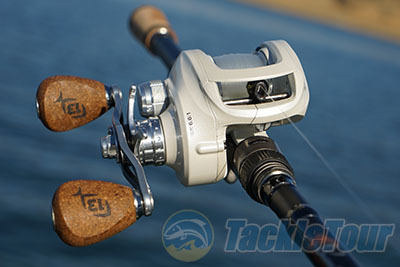 Introduction: Many people said that the tackle industry was too crowded for a new manufacturer to introduce rods, yet 13 Fishing did exactly that with their popular Omen Series. Many said that it was crazy to design, tool and manufacture high end ice-fishing tackle, and yet 13 Fishing has proven that not only is there a market for these products but there is always room for innovation. 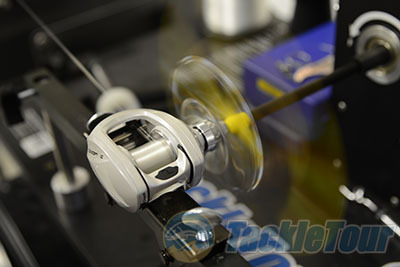 Now 13 Fishing is challenging naysayers once again with the introduction of high-end low profile baitcasters with their Concept Series. We have already taken a close look at the entry level Concept A and today we put the higher end Concept C through the paces. Impressions: The Concept C is instantly recognizable from the rest of the Concept line with the reel's bright pearl white finish. 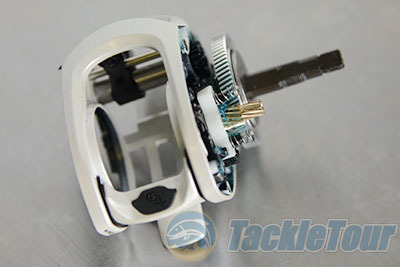 Whenever I see white reels, no matter what the brand, the first thing that comes to mind is still the venerable Shimano Chronarch 100A. In many ways the Concept C is looking to target the same type of user, the angler willing to pay a little more for enhanced features and more refined offering. 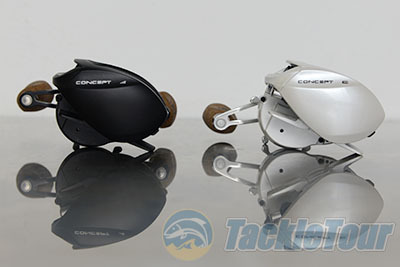 The Concept C features the same profile as the Concept A and when compared side by side the Concept A actually is a little more flashy with contrasting silver and black highlights on the handle, dragstar and spool. In comparison the Concept C's dragstar and spool are basically just polished aluminum giving the reel a more simple yet quite elegant look. 13 Fishing calls their anti reverse the "Dead Stop" system and it is aptly named as there is just about no detectable backplay whatsoever. In the lab we also tested the tolerances of the plates and everything was tight. The finish on the Concept C is also a step above the matte finished Concept A and the paint looks and feels smooth and rich. 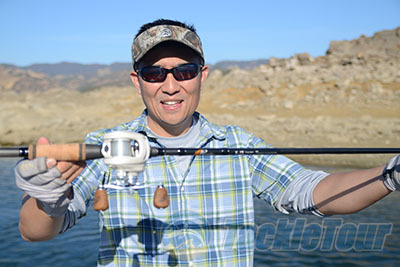 Real World Tests: To test the Concept C Series we fished the reel from spring to winter paired with a variety of rods and lines targeting both largemouth and smallmouth bass. 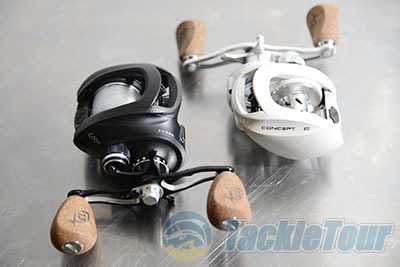 Our Concept C test reel was the 6.6:1 retrieve ratio version which made it a good reel for a wide spectrum of applications, including fishing plastics and hard bodied reaction baits.